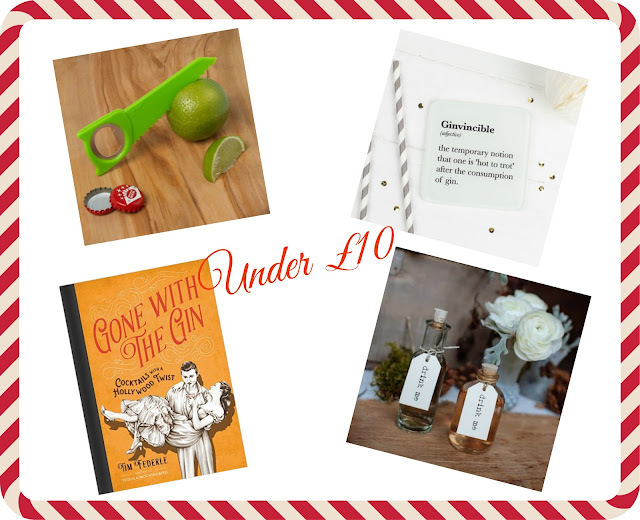 If you’re looking for the perfect gift for the Gin lover in your life then your truly has got you covered and then some. 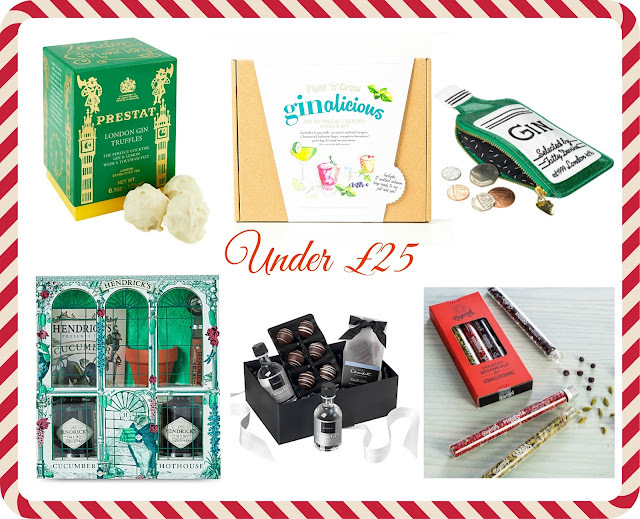 I know I wouldn’t say no to finding a few of this gin-lightful treats under the tree this year, after all, Gin is the gift that keeps on giving…until the bottle runs dry. Citrus Saw £4.50 Adorable and useful. Why chop your lemons and limes with a knife when you can saw them in half? I see the appeal and it would look very cute on the ‘pour your own’ side table over the holidays! Glass Coaster £6 I can more than relate to this funny little quote. Pair this with a swanky personalised glass or a classic Gin balloon glass for a cute and functional gift. Miniatures essential. Mini Glass bottles £3 If you’ve gone as far as to actually infuse your own gin this holiday season (which is surprisingly easy to do! ), then you can serve it up/gift it/party favour it in these adorable little cork stopper glass bottles. Is that Pinterest enough for you? Gin Bath Soak £10 Well, who hasn’t thought about lounging in a bath tub of gin? No? Just me? Hmm. Well, just incase you have ever had that thought, then this one is for you! Pair it with some pjs, fuzzy socks and a miniature or two! Gone with the Gin £7 I have this, I love this. For the budding at home cocktail making enthusiast, cocktails with a Hollywood twist! Ti-tonic, Sloppy in Seattle, Taxi Screw-Driver, West Cider Story, Close Enounters of the Slurred kind…movie night just got a whole lot more interesting! Also comes with movie themed bar snacks and drinking games! Tatty Devine Coin Purse £14.95 Well where else would a girl keep her Gin money? This little coin purse is too cute and functional. I’m pretty sure you could sneak a miniature in there too…just saying. Gin Botanicals £16 Any Gin drinker knows that a Gin just isn’t a Gin if there’s nothing floating about in it. This botanical kit is ideal for the Gin enthusiast that wants the perfect shot for Instagram. Prestat Gin Truffles £12 Alcohol infused chocolates - need I say more? Prestat make some of the most delicious, decadent chocolates and truffles you’ll find, in the prettiest of boxes too - stick a bow on it, no need to wrap! And you know, a miniature or two would really help these go down a treat! Hotel Chocolat Gin Collection £20 The Hotel Chocolat Gin is divine! Mix it with Cranberry juice and bam, it’s like a dark chocolate tasting, melt in the mouth, fruit filled truffle cocktail. I got one of these sets for my Birthday and it was a real treat from start to finish! Hendricks Hot House £20 OK…so I killed my cucumber when I had one of these greenhouse sets but I’m not exactly known for my green fingers! That being said, the idea of growing my own little cucumber was going to make the Gin I would be putting it in all the more delightful! The cucumber didn’t make it, but the cucumber baller in the set is a very cool little bar addition! Gin Botanical Cocktail garden £16 I love this. I love the ideal of a little herb garden on my windowsill that is entirely for the purpose of garnishing my Gin! Grow your own, it’s trendy, it’s organic, it’s practically one of your five a day, can’t argue with that! Make your own lip balm kit £16.95 I think I have an obsession with do-it-yourself gifts this year! Grow it, make it, drink it, love it. I mean I’m sure you could throw them into actual food as well but…well, the Gin’s more fun! Great British Gin Tasting Set £44.99 I like miniatures. I like trying new things. So a box full of new miniatures to try sounds absolutely perfect. Pair it with a glass, maybe the coaster from above, throw in the botanicals for an extra magical measure and BOOM you will win gift giver of the year 2016! Gin and Tonic box £29 I tried one of these Microbar Boxes this year and it was fantastic! Any night can be a Friday night with one of these babies under the tree! Gin, mixers and snacks? All in one box? YES! Give the gift of a one off box or really spoil someone with a couple of months worth of their subscription service. And if all else fails? Skip the miniatures and go for a full blown bottle of the good stuff, wack a bow on the top and call it Christmas! 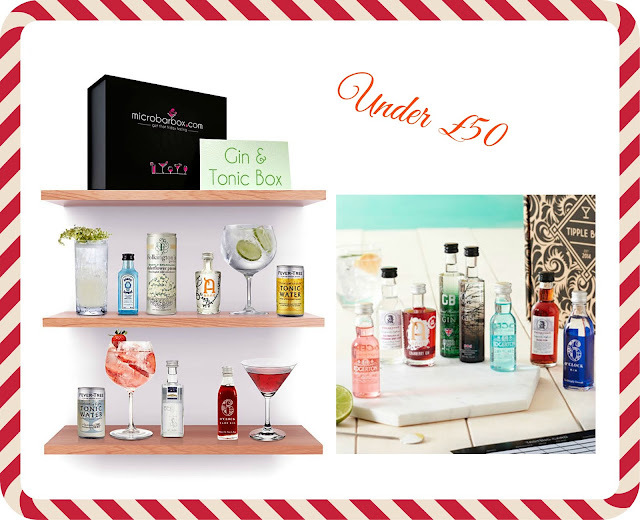 What will you be gifting the gin lover in your life this Christmas? Ah amazing! I love all of the gin gifts. I got one of the taster gin boxes for my birthday and it was awesome. I now feel Like I NEED to find a gin lover in my life to buy them all of these gifts!